This lovely red velvet and white organdy dress is made by Rare Editions, a well known designer of classic children's clothing. 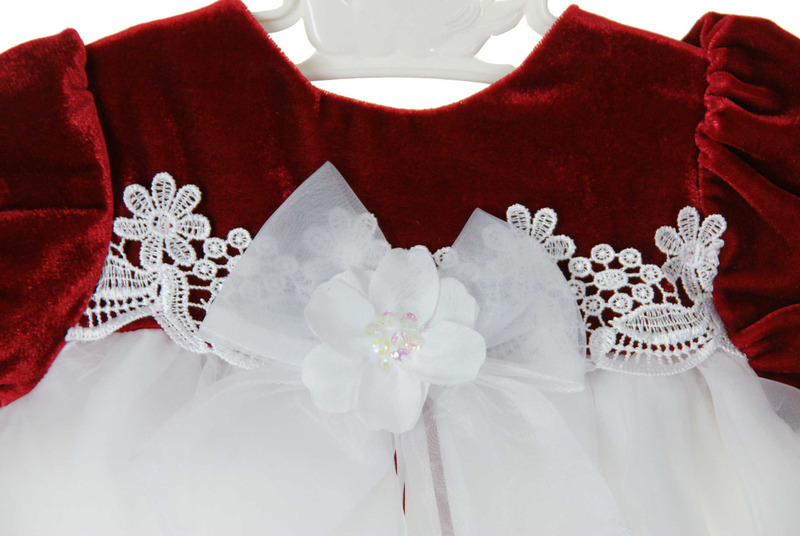 The red velvet bodice is trimmed with white Venice lace. 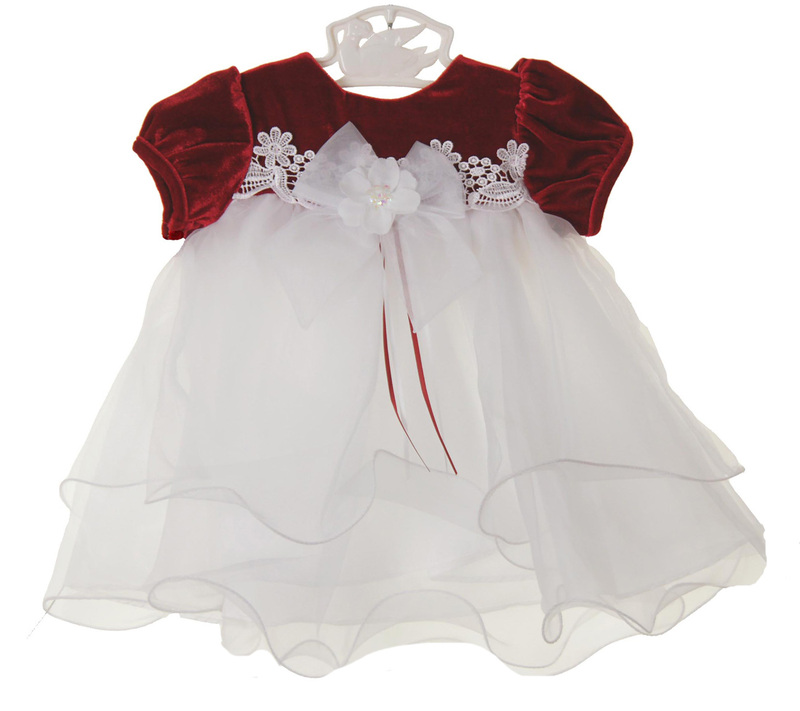 A white organdy bow centered with a white organza and sequin flower tops the lace. 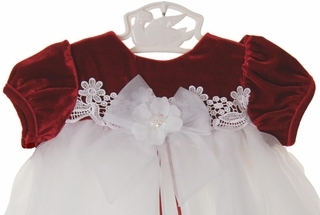 Narrow red and white satin ribbons are attached to the bow. The dress has a simple round neckline and short puffed sleeves. The very full double organdy skirt has lettuce edged hems and an attached petticoat for added fullness. This adorable little dress comes with a matching satin diaper cover.